A poignantly beautiful novel, Girl in Reverse celebrates the formation of identity as well as the art that draws us all together. I hold my face as if it has been dipped in plastic, slide down in my seat, and stare at the doodle—a tornado-shaped ink spiral gouged in the desktop. The Chinese soldiers in the tank are fiends with crossed eyes and nasty bucktoothed grins. They aim their bloody bayonets and machine guns at the poor, helpless United Nations. Neil pivots and salutes the flag. Kids whoop and applaud. He starts the cartoon around the room. I tuck my hair behind my ears, remembering last Friday’s current events cartoon. It showed a Chinaman’s mask over the muzzle of a crazed, razor-toothed bear—the global symbol of Communism. I glance at Neil’s cartoon when it is handed to me. But when I try to pass it to the guy beside me, he yanks his hand back, holds it suspended in midair. He bucks his teeth at me, crosses his eyes, and fake coughs, “Commie.” Neil covers his mouth, as if suppressing his own commie cough. Another comrade of Neil’s sneezes, “Chink!” Somebody snickers. The air sizzles, all eyes on me. Commie. Chink. My hands fly to my cheeks. My insides buzz. The cartoon falls on the floor with the machine guns aimed right up at me. I glower at Miss Arth seated at her desk—God! DO something. No. Miss Arth is preoccupied with her ear. She grimaces, pulls off a tight earring, and massages her fleshy earlobe. The fat gold glob wobbles on her desktop. Two rows up Patty Kittle turns to me with an expression full of pity. Sorry, Lily. I look from one to the other of my classmates. Even the nice kids stare right past me out the window. The Communism-is-contagious guy beside me swivels in his seat, jiggles his hands palms up, silently mimicking—but . . . but . . . whad? Neil stuffs his hands in his pockets, smug as can be. Miss Arth removes her other earring. She runs her finger down her grade book, announces the next student’s turn, and boom! The attack is over. I sit back, slapped. Trapped. My hands and face tingle. The next thing I know, right in the middle of fifth hour, I am standing on Neil’s cartoon, grabbing my books. The janitor, on a stepladder at the back of the room, catches my eye. He salutes me with a lightbulb raised in his fist. Neil hops back as if giving the enemy a wide berth as I square my shoulders and step around him, out the door, and into the empty hall. I yank my coat from my locker. The school secretary tracks me walking past the front office window. I bump the building door open, run down the front steps, through the crosswalk, and up the street. Lily Firestone, unhooked from the world. You did it—you did it—for once—you did the right thing. The rhythm of the words propels me for blocks, through Southmoreland Park and across the lawn of the art museum. I sit on a stone wall, clutching my books. It’s spitting snow and windy. Cold seeps through my coat, but I feel a little fire in me—a right and true flame. I unload my books, pull my knees up, remembering a different rhythm, a jump rope chant from grade school: Jap-mon-key-girl-Jap-mon-key-girl. Kids chanted it during recess after Pearl Harbor was bombed. I didn’t know if I was a Jap or not. I didn’t know what I was. I thought it was supposed to be funny. I hopped and scratched like an ape until something shifted inside and I realized I was the joke. Easy as pie, without trying, I’ve changed from being a monkey to a commie. Wars come in all sizes: whole world, playground, classroom, even inside your own skin. My mittens are fists. I wipe my eyes, furious that I didn’t protect myself way back then. I should have stood up, fought back. But I didn’t. I didn’t know how. And now I’m still just me, still trying to ignore it.
. . . until today. I rock side to side, hot tears on my face, recalling still another rhythm—the cadence of my first mother’s steps and how her hair swayed when she carried me around the puddles and scary dogs and steamy gutters filled with the trash of Chinatown. If we ever get lost from each other, Lily, look for my bright pink sweater. You can always find me. She was Mamá, my birth mother, who sailed here from China and delivered me in California before the Iron Curtain and the Bamboo Curtain divided the world. After three years she put us on a train to Kansas City, pried my arms from around her neck, lowered me to the floor of the Mercy Children’s Home, and walked out. Mamá disappeared and became Gone Mom. I blot my eyes on my coat sleeve. Squirrels chase around the oak trees, scramble through piles of dead leaves. I look up. Shiver. His face looks worried. I circle him, study the curves of his backside, his biceps and massive bare back. He’s weathered gray-green metal with rain streaks down his sides and between his thighs and fingers. His whole body is clenched. He looks like he has muscles in his brain. Snow gathers on his eyebrows and the crests of his ears. I guess The Thinker is like me today—lots of problems and no answers. 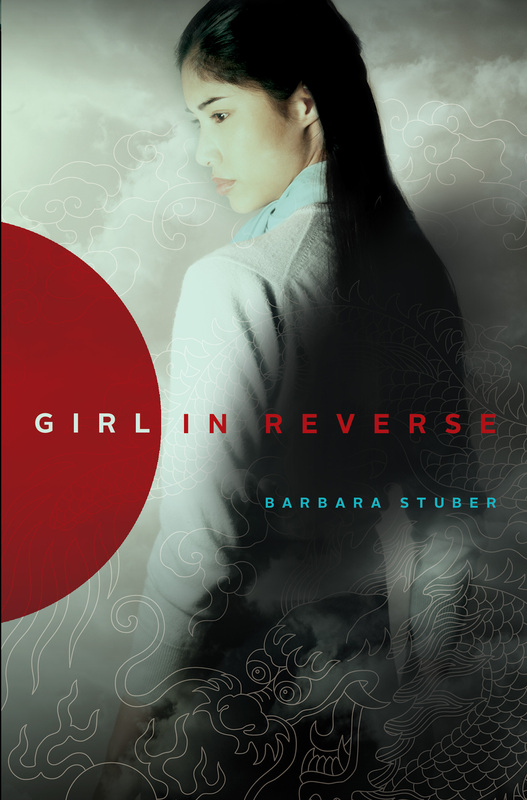 Barbara Stuber is the author of the novels Girl in Reverse and Crossing the Tracks, which was a finalist for the American Library Association William C. Morris Debut Award, a YALSA Best Fiction for YA and a Kirkus Best Book for Teens. When not writing, she is a docent at the Nelson-Atkins Museum of Art in Kansas City. 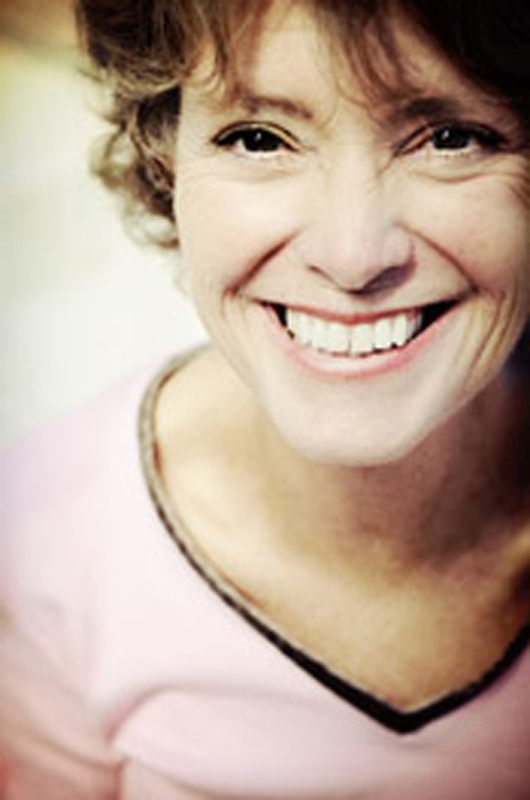 Visit Barbara online at BarbaraStuber.com. *"Stuber (Crossing the Tracks) creates a remarkable journey of self-discovery, inner resilience, and the fragile, surprising, and exquisite complexity of family." "Stuber has created a fully realized, age-appropriate personality in the protagonist." Lily’s fragmented memories of her mother—her scent, the color of her sweater, the texture of her hair—and the yearnings they inspire are the novel’s most genuinely affecting moments... moments of beautiful sensory detail." "Stuber offers a poetic, introspective story of a girl caught between two worlds."